I’ll have to be short and sweet tonight because 4:30AM will come early. I really only know one 4:30 until showtime rolls around. Then I usually see all hours. I’ll be on Channel 4 in the morning at 5:45AM talking about Bella Rustina. It’s already past midnight, so I’m starting my get-very-little-sleep-during-show-weekend early. Setup starts tomorrow and I really can’t wait to see everybody and what they bring. We have some incredibly talented exhibitors coming that have been out picking or making the best stuff. Please come out and support me and my hardworking exhibitors during Bella Rustina inside the concourse of War Memorial Stadium this weekend. I have included all the details below. The Vintage Market in Heber Springs is having their Fall Fest this Friday-Saturday at 410 Wilburn Rd. Heber Springs, AR. Check out the details on their Facebook page. We’re downsizing from 5,000 sq ft. to 1,500 sq ft. We’ve emptied the attic and the house filled with Designer furniture. 3rd sofa with bench seat, fringe skirt and nail head detail. Prom and homecoming dresses/shoes and much much more. Stuff!! Howard Miller Grandfather Clock, Oak dining table and chairs, lift chair, living, dining, bedroom furn, Winchester tall gun safe, fire king, pyrex, corning ware, vintage glass sets, dinnerware, Wexford, barware, western pottery, very large antler mount, western sets of books, kitchen, Household, and lots of tools of all kinds, awesome vintage toys and Christmas, records, linens, 1960-70’s new sewing and craft kits, massive amount of sewing items, handicap bed, items, patio Furniture, costume and fine jewelry, much more! This sale is an incredible opportunity to get some quality “everyday” items at great prices. The house is loaded with traditional furnishings in great condition. We have a “new” sofa, 2 club chairs w/ottomans, 4 La-Z-Boy recliners (2 leather, 2 cloth), King bed, mattress, matching dresser/nightstands, Metal Queen bed, mattress, chest of drawers, lingerie chest, nightstand, beautiful oak desk w/hutch, bookcases, custom glass front bookcase from B & B Custom Cabinets, pub height dining table/chairs, glass top dining table/iron chairs, side tables, lamps, coffee tables, Singer sewing machine, Whirlpool Cambrio Washer/Dryer, 2 stainless refrigerators, flat screen TV’s, TV cabinet, Pioneer stereo system in cabinet/speakers, butcher block carts, metal shelving, rolling cart, small appliances, cast iron, pan & dishes, etc. Women’s name brand clothing sizes 14-18, shoes size 11, costume jewelry and some sterling/gold. Outside we have a full garage, Green Egg smoker/grill, John Deere riding mower, tools, paint, rusty treasures and a portable barn! Lots of Christmas items!! Furniture, home decor, assorted candles, kitchen items, large amount of silk flowers and vases, exercise bike, much more of 40 years! Also, my booth Three Girls & Some Stuff is 50% off every item this weekend October 13,14 &15!!! My booth is located at Vintage Decor Flea Market in East End, 20612 Arch St., Hensley. Lots of 18-24 boy baby clothes, young women’s clothing, linens, home decor, a wine press, desktop computer. 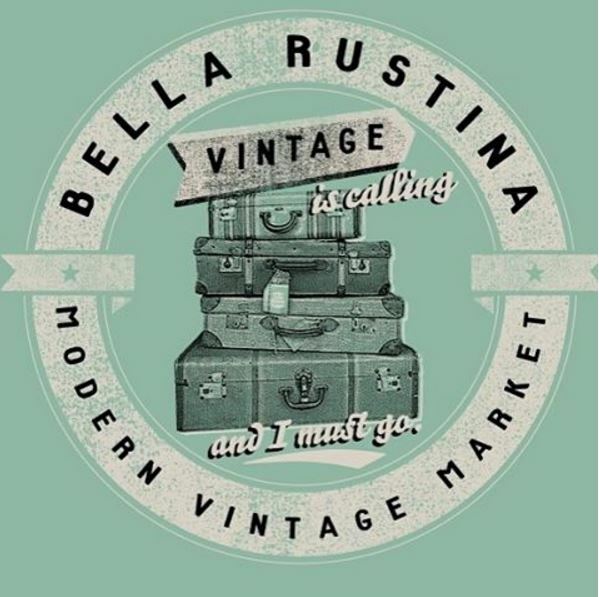 Come enjoy Bella Rustina, Little Rock’s locally-owned vintage market, as we fill the War Memorial Stadium concourse area with 220+ booths of antiques, vintage, upcycled/repurposed antiques and vintage, as well as vintage-inspired handmade items October 13-15, 2017! The hours will be Friday, October 13, from 12:00PM – 7:00PM with $8 admission that’s good all weekend. Saturday’s hours will be from 9:00AM – 5:00PM and Sunday’s hours will be from 12:00PM – 5:00PM. Saturday and Sunday’s admission is $5 per adult and $1 per child that’s 12 and under. CONSISTING OF:COLLECTION OF CHRISTMAS MUSIC BOXES,DINING TABLE WITH 6 CHAIRS,DVD PLAYER SUPER NICE WALL UNIT,MATCHING SOFA AND LOVE SEAT,CHILDS ROCKER,DAY BED, ROLL TOP DESK,TABLES,QUEEN SIZE BED,CHESTER DRAWER,KING SIZE BED, DRESSER,VINTAGE STEREO,MIRROWS,CLOSET FULL NICE CLOTHING,2-FUR COATS,ROCKER,UP RIGHT FREEZER,STORAGE CABINETS, FLOWER POTS. items Of Interest and Value.